For decades, intravenous therapy with immunoglobulin G (IgG)-a preparation of antibodies purified from the blood of thousands of donors-has been used to treat lupus, arthritis, and other autoimmune diseases. But this presents a paradox: autoimmune diseases are triggered when IgG attacks a person's own tissues, so how can administering it as a therapy reduce inflammation? Rockefeller immunologist Jeffrey V. Ravetch (1951- ) has spent the last ten years unraveling IgG's anti-inflammatory effects at the molecular level, and his results have provided the basis for designing new, more potent, antibodies for use as therapies against autoimmune diseases. These advances in medicine are the result of Ravetch's fundamental discoveries on the nature of the immune response. In the early 1980s, he set out to discover the function of a region called Fc on antibody, or immunoglobulin, molecules. In 1986 Ravetch and colleagues were the first to clone genes for Fc receptors, which are found on immune cells such as macrophages. In detailing the pathways by which immunoglobulins and Fc receptors interact, Ravetch overturned conventional wisdom about how IgG initiates an immune response. Previously, scientists thought that IgG worked through biochemical pathways known as the complement system to eliminate pathogens. Ravetch's research established the centrality of Fc receptors in regulating both inflammation and immunosuppression triggered by antibodies. He discovered that some Fc receptors activate immune signaling whereas others inhibit it. The inhibitory pathway is crucial for so-called immunological tolerance-for preventing the immune system from attacking its own tissues. Ravetch's genetic studies in mice have shown that animals without inhibitory Fc receptors develop autoimmune disease, and that restoring Fc receptor levels prevents autoimmunity in a mouse model of lupus. Other researchers have implicated faulty Fc receptors in several human autoimmune diseases. Ravetch's studies on Fc receptors provided the basis for solving the paradox of intravenous IgG therapy. He discovered that IgG's ability to either promote or suppress inflammation depends on whether its Fc region contains a sugar molecule called sialic acid at its tip. When present, the sugar molecule confers anti-inflammatory properties on IgG. When absent, the IgG molecules lose their immunosuppressive abilities and trigger inflammation, an essential role for eliminating pathogens. Using this knowledge, Ravetch and colleagues produced an engineered, sialylated IgG molecule that was 30 times more effective than intravenous IgG in mouse models of autoimmune diseases, including arthritis. These results have provided a route for developing alternative therapies to intravenous IgG for people with autoimmune diseases. In addition, the new understanding of Fc receptors revealed by Ravetch and colleagues is aiding the development of antibodies for treating certain cancers. Beyond his pathbreaking discoveries on the mechanisms of antibody mediated inflammation and modulation, Ravetch discovered the first chemokine molecule, IP-10, opening the field of a new family of regulatory molecules in the immune response. He also has contributed to the understanding of genetic variation in the human malaria parasite, P. falciparum. He was the first to clone and map a chromosome of this parasite and he uncovered the ability of the parasite's chromosomes to generate genetic diversification by undergoing breakage and healing. Jeffrey V. Ravetch received the BS from Yale (1973), the PhD from The Rockefeller University (1978), and the MD from Cornell University Medical School (1979). After postdoctoral research with Philip Leder at the National Institutes of Health (1979-1982), Ravetch joined the faculty of Memorial Sloan-Kettering Cancer Center and Cornell Medical College in 1982. He moved to Rockefeller in 1996 and was named Theresa and Eugene Lang Professor in 1997. 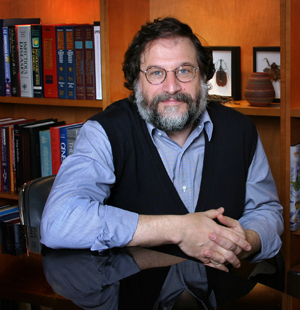 Ravetch has received numerous awards for his research, including the Burroughs-Wellcome Scholar Award, the Pew Scholar Award, the Boyer Award, the NIH Merit Award, the Lee C. Howley, Sr. Prize for Arthritis Research, the AAI-Huang Foundation Meritorious Career Award, and the William B. Coley Award. He is an elected member of the U.S. National Academy of Sciences (2006) and its Institute of Medicine (2007). Ravetch also has been elected a Fellow of the American Academy of Arts and Sciences (2008).